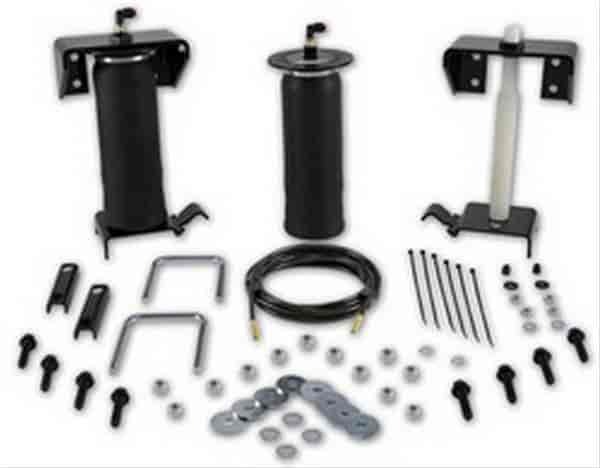 Air Lift Ride Control Systems were developed for trucks, vans, and SUVs that are used for light-duty towing and hauling. Modern vehicles are designed to have a smooth car-like ride that is great if your vehicle is lightly loaded. However, when towing a heavy load, your vehicle can squat and compromise safety and comfort. Ride Control Systems install between the leaf spring and frame. By adjusting air pressure (up to 100 psi), air sleeves keep the vehicle level while providing up to 2,000 pounds of load support. Do not exceed your vehicle manufacturers GVWR. All brackets, hardware, and instructions included. Does Air Lift 59527 fit your vehicle?